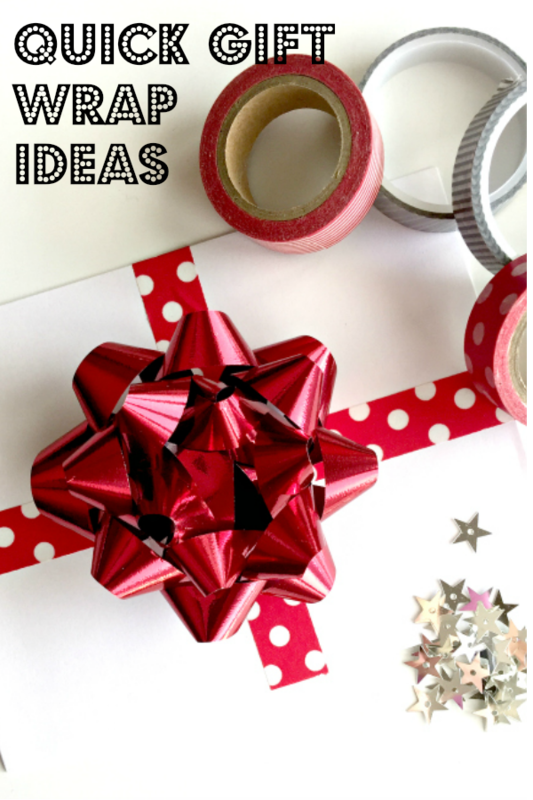 Today I’m sharing with you a quick Christmas gift wrap idea. All you’ll need is some fun washi tape! You can use this idea for any time of year, not just when you’re wrapping a Christmas gift. You can click HERE to shop lots of fun washi tape patterns. If you order by the end of today, December 15th, you’ll receive your washi tape in time for Christmas. 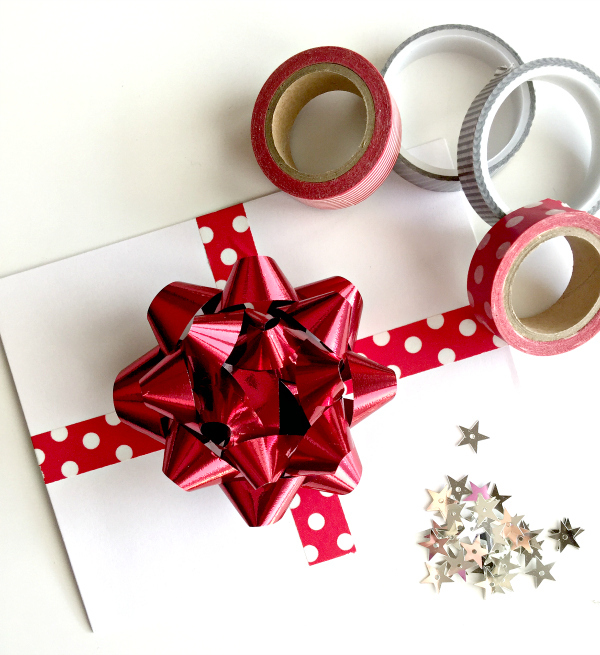 If you’re giving a card, wrap the envelope with washi tape and top it off with a bow to make it look like a present. So easy! If you have a package, you don’t need to use wrapping paper. Just wrap the box in washi tape and top off the package with an exposed Christmas card. Show off your card! Be sure to recycle the kraft boxes that are used to ship your items. Just remove the labels and use wide washi tape or decorative duct tape to cover the boo-boos. 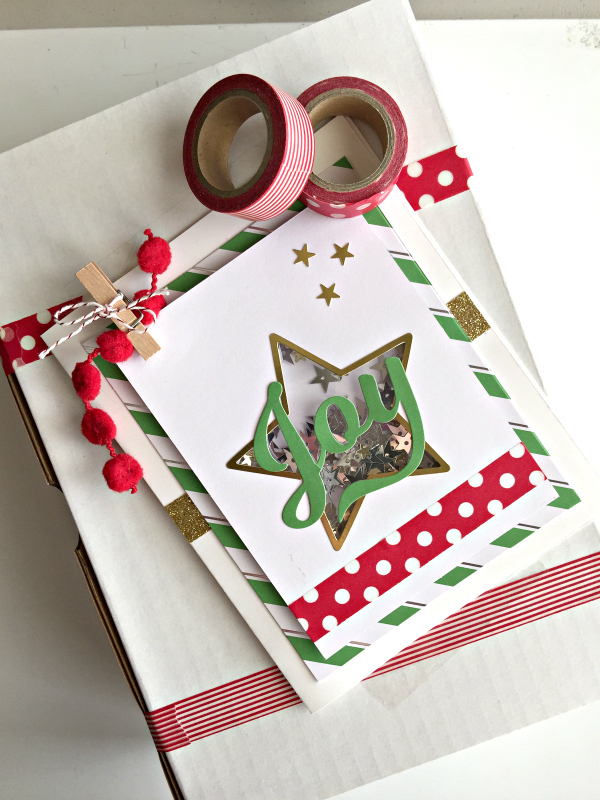 Have fun using washi tape to create quick Christmas gift wrappings!